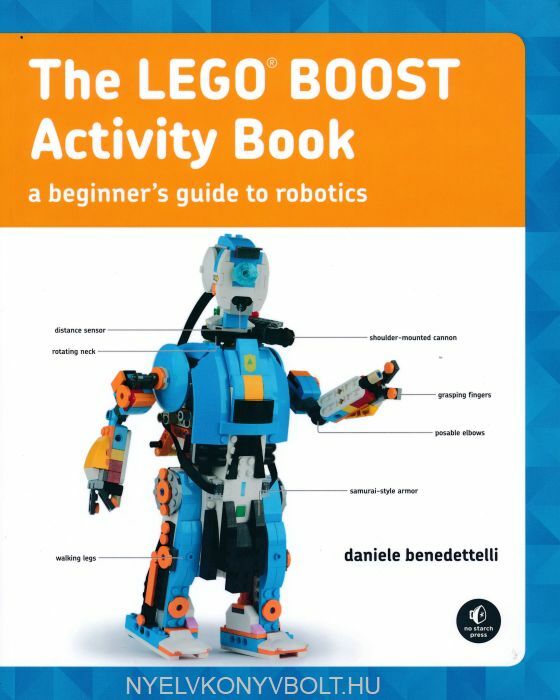 At last, fans of the LEGO BOOST robot building kit have the learning resource they've been missing! 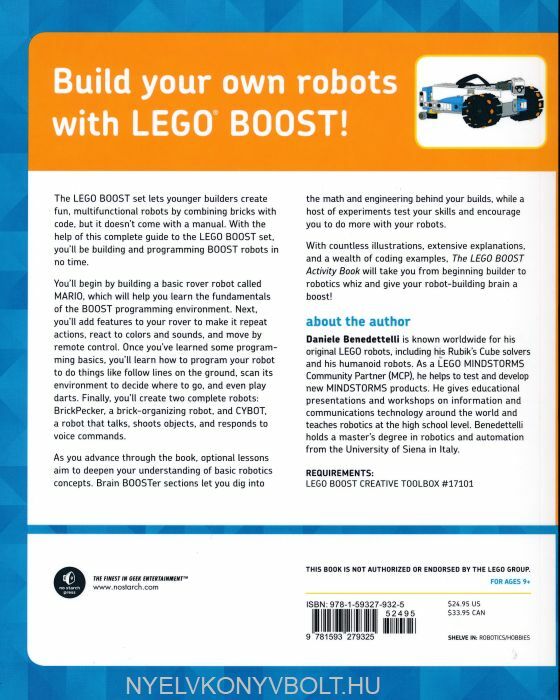 With the help of this complete guide to the LEGO BOOST set, you'll be on your way to building and programming BOOST robots in no time. You'll begin your exploration by building a basic rover robot called MARIO to help you learn the fundamentals of the BOOST programming environment. Next, you'll add features to your rover to control its movement and make it repeat actions and react to colors and sounds. Once you've learned some programming basics, you'll learn how to program your robot to do things like follow lines on the ground, scan its environment to decide where to go, and even play darts. As final projects, you'll create two complete robots: BrickPecker to help you organize your bricks and CYBOT, a robot that talks, shoots objects, and executes voice commands. As you advance through the book, optional lessons aim to deepen your understanding of basic robotics concepts. BrainBOOSter sections let you dig into the math and engineering behind your builds while a host of experiments seek to test your skills and encourage you to do more with your robots. With countless illustrations, extensive explanations and a wealth of coding.